WhatsApp added a “Call” button to iOS platform on App Store. The feature can be accessed by users running WhatsApp version 2.12.1 if downloaded directly from the iTunes App Store or the official website of WhatsApp. WhatsApp Calling – Call friends and family using WhatsApp for free, even if they’re in another country. WhatsApp calls use phone internet connection rather than cellular plan’s voice minutes. Data charges may apply. iOS 8 share extension: Share photos, videos, and links right to WhatsApp from other apps. Quick camera button in chats – capture photos and videos, or quickly choose a recent camera roll photo or video. Edit contacts right from WhatsApp. Send multiple videos at once and crop and rotate videos before sending them. With the official launch of WhatsApp Calling feature for iOS, the feature can be activated when receive a call from another WhatsApp user that already has the feature unlocked. For the user being called up does not have the latest version of WhatsApp installed, notification will be send to request the WhatsApp user to update the app before the call is made. 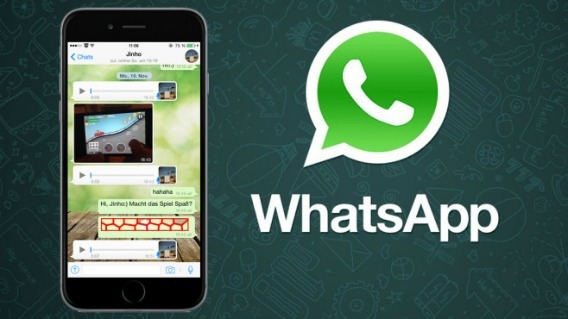 From the stability assess, WhatsApp was one of the best chatting platforms for both iOS and Android mobile devices. If you are on Android, here’s how to enable it: How to enable WhatsApp Voice Calling on Android.